The longest held political prisoner in the world, Leonard Peltier, human right defender, has been held in federal prison for over 43 years for the death of two FBI agents which is well known he did not commit: “We don’t know who killed those agents-nor do we know the role Mr. Peltier played.” U.S. Prosecutor L. Crooks to Judge Haney. 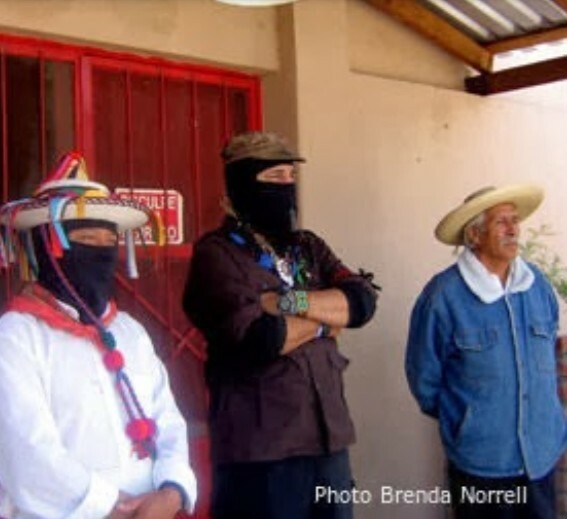 The Tohono O’odham peoples and their reservation at the border between USA and Mexico are under intense political pressure to submit to the construction of a Border Wall by the Trump Administration including the increased militarization patrols and high frequency technology installations that are not acceptable nor welcomed. In California the desecration of sacred sites of the traditional lands of the Amah Mutsun tribal nation and the proposed sand and gravel mining at Sargent Ranch in Gilroy is being challenged by their peoples. The specific site is known as the Amah Mutsun as Juristac and is the site where Mutsun Bighead ceremonies were once held. Bighead ceremonies were the most important ceremony of the Mutsun peoples. There is a critical need to hold extractive industries accountable by a legal globally binding regime and with consequences for these violations. In response to the growing water crises, the Mni Ki Wakan: World Indigenous Peoples’ Decade of Water Summit will elevate the voices of indigenous peoples on water to the global level. Water is sacred and yet unsustainable development continues to be a threat to the life source of our future generations. Standing Rock North Dakota has shown to be a catalytic moment or wake up message about the extent that corporations have sought to control and privatize the precious resource. This is the moment to step up and defend the source of life for the coming generations. Mr. Antonio Gonzales, AIM-WEST director, and moderator for the event. The AIM legacy of 50 years of activism has impacted the social fabric of American society today from the regional, national and international level. The AIM 20 point program of 1972 is the driving force that serves as an inspiration for organizing at the grass-roots level. The AIM is a spiritual movement that provides the cultural means to strengthen the youth in the struggle for total resistance to colonization throughout the Americas and beyond! Aho!